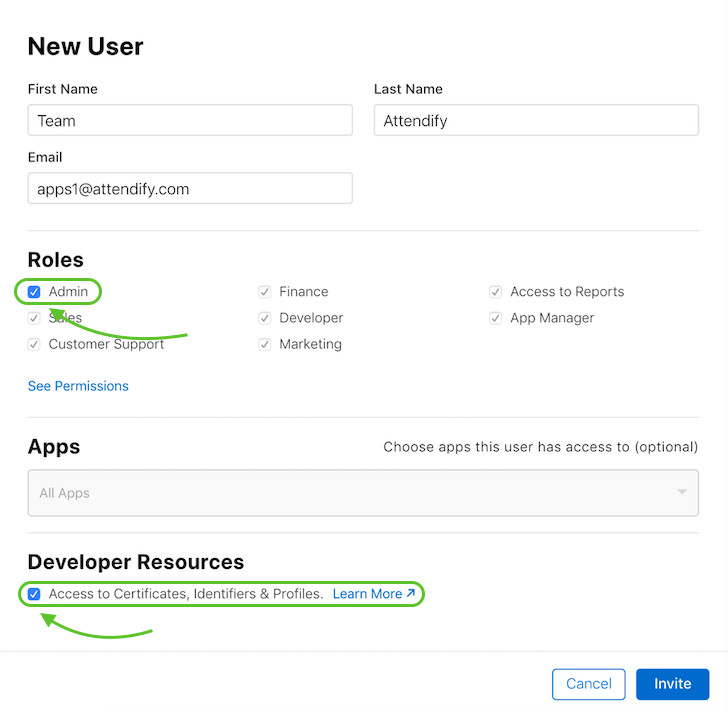 For us to be able to submit an app under your Apple Developer Account and manage it, we need to be invited as admins to your App Store Connect account (with admin-level rights, sent to apps1@attendify.com). 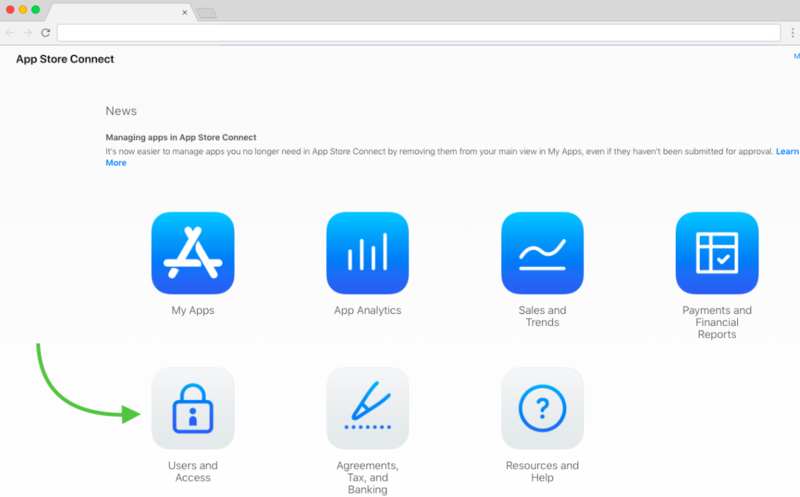 Navigate to App Store Connect and log in with your Apple ID credentials. Once logged in, click on 'Users and Access'. Click on the '+' sign to add a new user. Enter the user information for this new account: First name: Attendify; Last Name: Team; and use the apps1@attendify.com email to send the invitation to. Assign permissions to this new user. Select the Admin role by checking the box next to it. This permission will allow Attendify to publish the app on your behalf. The Attendify Team will not be able to publish the app for you without the Admin role assigned. Click "Next". In the next section, you are asked to edit the notification settings for this account. You can leave it on the default values then click save.